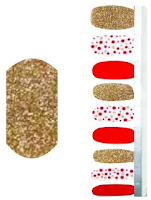 I used them for the first time over the holidays.They did not fit my nail bed sides of my nail are showing.After three days the tips of my nails started to show.I will not get more than 7 days of wear out of them.Needless to day very disappointed. To LoveForSB I did find that the strips are manufactured in Korea, but the company is based out of texas. for Unknown user, I am sorry you are disappointed. I have nothing but love for these strips! I find it odd that they did not fit as these strips have so many different size options, far more than other brands I have tried. And if something is to large you can cut the strip down (just like other brands), but if it is to small a little gentle stretching should get you the fit you want, where other brands don't stretch well. I purchased several packages of this brand and I find that they incredibly sticky, but not in a good way. They never seem to dry all the way and they ding easily. Great price point, but they are not anywhere close to the quality of Color Street. I'd be willing to pay a bit more for better quality. They just seem too rubbery & sticky. I truly appreciate your feedback. Everyone has their own experiences. 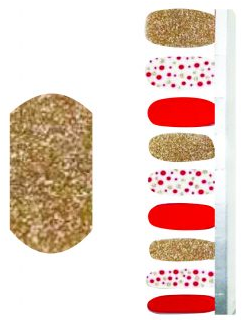 I am a licensed cosmetologist and Rarity is a little thicker and sturdier to me than Color Street which chipped like classic polish after only a few days anytime I wore it without a gel topcoat. But we all have different experiences, which is why I love having a comment section!